HVACChannel.tv has the programs you need to increase sales, profits, and a growing, loyal customer base. "We exceeded our budget by $400,000 and our net profit this year was 24%." 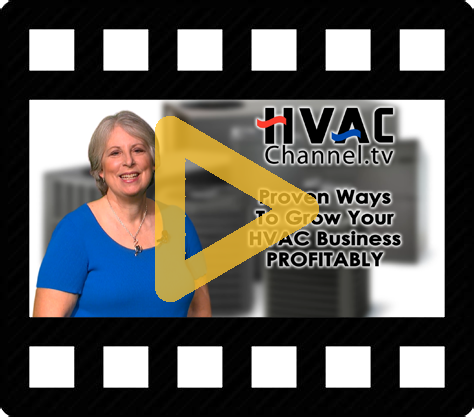 Play this short video to get an idea of how HVACChannel can help grow your HVAC business. Learn about online courses and enroll in Spring 2019 Live Training Classes. Learn about & order the different training manuals, books, and audio CD's available for purchase to help grow your HVAC business. If you are a contractor looking to profitably grow your business, you have found the right place. 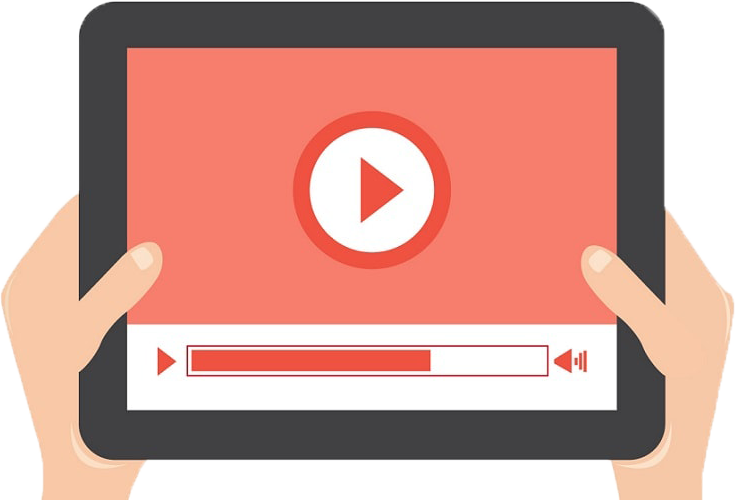 HVACChannel.tv has the programs you need to increase sales, profits, and a growing, loyal customer base. We started HVACChannel.tv in 2002 to help contractors like you achieve the goals you want to achieve. Our programs can help you do just that. Check out the overviews and free programs on building your residential and commercial maintenance agreements, pricing and financials, service, dispatch, and more. Find the answers you need to grow profitably. And, if you have a question, call me at (770)729-0258 or, send me an email. 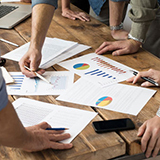 My team and I are here to help you build a stronger business. ▶ Doing ok but get a sense that you could do better? ▶ Wanting to grow a successful maintenance program? ▶ Wanting to grow a successful service department? ▶ Not earning as much as you were in "The Good Old Days"
▶ Working harder than you were in "The Good Old Days"
Other contractors like you already have become more profitable, more productive, and have better lives with Ruth King's guidance. And now you could too as a participant in her HVAC Contractor Profitability Program. 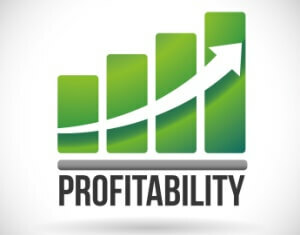 Profitability Group is for non-competing contractors. What we do works well. Ruth won't give it to your competition down the street. You can feel comfortable sharing with the group and getting honest answers to your questions from the group. We've spent countless days and hours combing through our archive of Technical Training Videotapes dating back to 2002. We've taken the very best and most relevent topics and converted them to MP4 video files and DVD's for you to purchase. These Technical Training Videos are divided into four categories: Rookie Training, Safety Training, Commercial Training, and Residential Training. Topics covered include (among other things): Fundamentals of Refrigeration, Fundamentals of Air Conditioning, Basic Heating & Air Conditioning Systems, Ladder Safety, Pressure Vessel Safety, Psychrometrics, Different Types of Commercial Systems, How To Select Commercial Equipment, Keeping Suction Pressure Up, Superheat & Subcooling, Refrigerant Change Out, Electrical For Air Conditioning Systems, Improving System Efficiency... and so much more. Ruth King is Channel Manager for HVACChannel.tv: Television On The Internet For Contractors. She is also President of Business Ventures Corporation. 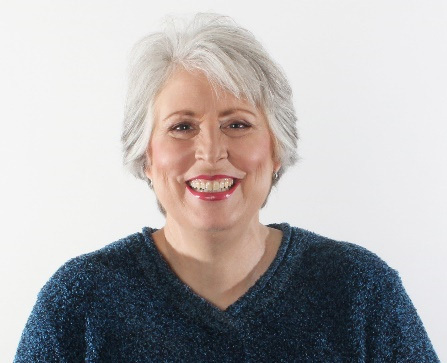 Ruth has worked in the plumbing, heating, and air conditioning industry since 1987. 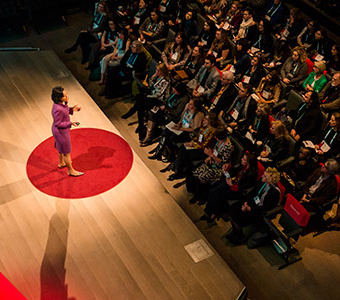 Her work includes consulting in sales and marketing, finance, technical training, and operations challenges. She is especially proud of one contractor she helped climb out of a big hole. He started with a negative $400,000 net worth 15 years ago and is still in business today…profitably and with a positive net worth. 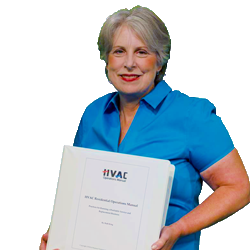 Ruth holds a Class II (unrestricted) HVAC contractor’s license in Georgia. Let Ruth guide you as you build a thriving, profitable business and turn your business nightmares into pleasant dreams.